The final battle on the streets of Long Beach saw A.J. Foyt Racing back in the winner circle. The celebration will last for a bit of time as Sato became the first Japanese driver to capture an IndyCar race. Long Beach, Calif. – Takuma Sato drove the best race of his life to win the Toyota Grand Prix of Long Beach, the third race of the 2013 IZOD IndyCar Series season. Driving the ABC Supply A. J. Foyt Honda, Sato led 50 of the 80 laps around the twisting street course in Long Beach, winning for the first in his IndyCar career. 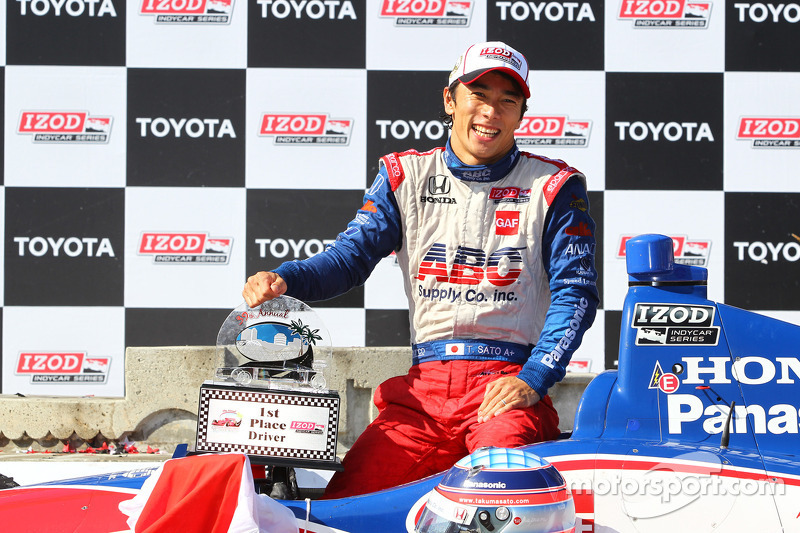 In winning, Sato became the first Japanese driver to capture an IndyCar race, and it came in his 52nd start. 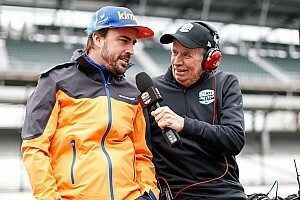 For the famed Foyt team, it won for the first time since Airton Dare took them to victory in Kansas in 2002, and today’s win was the 44th for Foyt and his team. The last road course win for the team took place at Silverstone, England, in 1978. “It was a fantastic day and the team did a tremendous job,” Sato said with a huge smile on his face. “The weekend was perfect and in the first two races, we showed great performance but had little issues. This weekend there were no mistakes. Qualifying went well and today went perfect. The car was so much fun to drive, and I could manage both sets of tires (red and black) well. “On the restarts, I had to be cautious, especially on the last one. At the start of the race, I had the black tire, but I knew (from experience) they would work well if I could hang on to the top three positions, which we did. And it was great day for the Honda engine, and I was very happy with it. 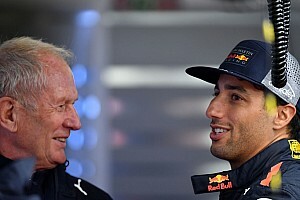 The younger Foyt credited his father for being open to change and for allowing him to put together a cohesive group that has been together for two seasons. Five seconds behind came Graham Rahal, who had started 11th in the Midas/Big O Tires Honda of Rahal Letterman Lanigan Racing. Team co-owner Bobby Rahal finished second four times here. “We had more fun this weekend than we have had in the last couple (of races),” the young driver said. “Today was great because it all came together. We had had the speed, and we should have done better at St. Pete, but we couldn’t see it through. Without a doubt, it feels great to be on the podium at Long Beach, but obviously I would like to win. One of these days we are going to win one. 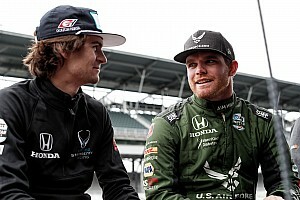 Starting 25th after having a miserable start to the weekend, Justin Wilson and his Dale Coyne Racing (Honda) team relied upon a unique pit strategy and precision driving to put their car on the podium in third place. Fast qualifier Dario Franchitti took the Target Chip Ganassi Racing Honda to a fourth place finish. He led 27 laps and was perplexed with the outcome. 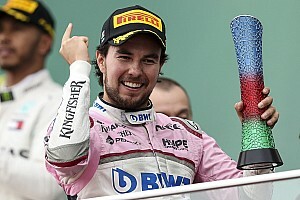 Honda swept the top-four finishing positions, showing how diligent the company has been in stepping up its program. J. R. Hildebrand took fifth place. Sixth through 10th were Oriol Servia, Marco Andretti, Simon Pagenaud, Simona de Silvestro and Helio Castroneves. Five incidents slowed the race for 16 laps. One incident led to a DNF by Barber race winner Ryan Hunter-Reay, who exited on the 49th lap after slamming into a tire barrier. He was scored 24th. Hunter-Reay blamed himself for the outcome, saying he was getting desperate.